Who remembers this song or a similar mnemonic? Many people take pride in recalling the procedure for dividing fractions. If you can’t, a quick Google search will provide you with formulas, anchor charts sprinkled with arrows, and even recall strategies for the traditional three-step method most adults were taught as children. But, can you explain why flipping and multiplying gets you the correct answer? 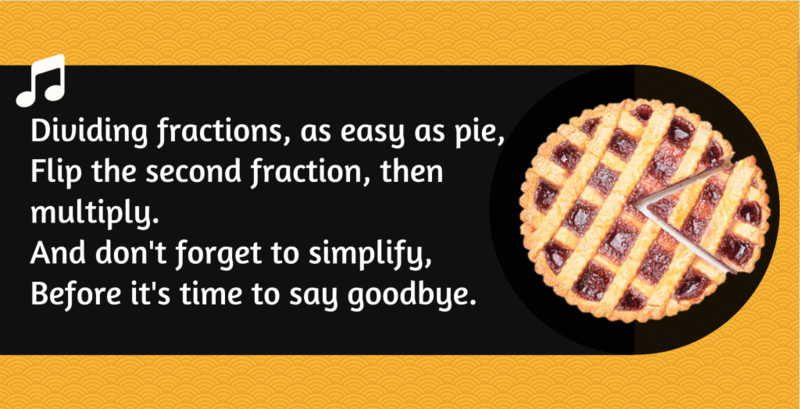 In the last blog post, I offered tips for supporting educators as they teach fractions conceptually using the Common Core Math Standards. During their Math Stories block, teachers at Blackstone Valley Prep ask their scholars to use visual fraction models to represent and solve fraction story problems. But, what’s happening outside of instructional blocks to prepare for Math Stories? Most adults have been taught fractions in the very way we are trying to improve for our students. As math teachers, we must change our mindset and tool belt before we can be the experts. When 5th grade teachers at BVP prepare to teach an approaching Math Stories lesson, they must first get into the students’ mindset. 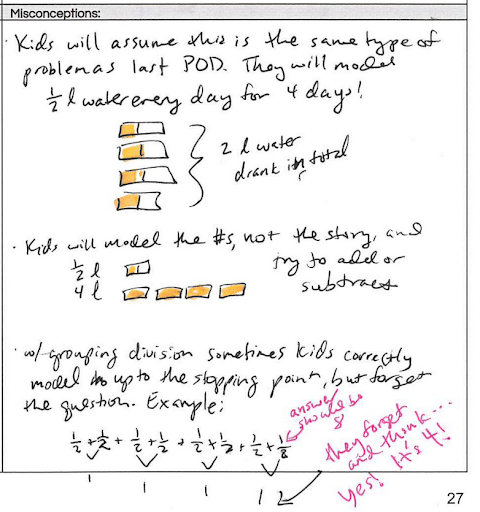 They follow a step-by-step lesson plan protocol to model the math story problem themselves and internalize key takeaways. Adelaide drinks ½ liter of water every day. How many days will it take her to drink 4 liters of water? 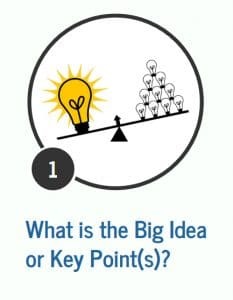 Key Point 1: Strong models represent what is happening in the story with detailed labels. KP2: Strong fractions models help us solve problems without relying on the algorithm. 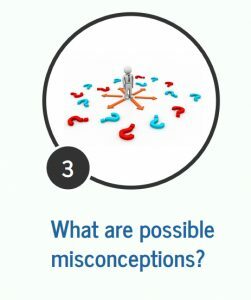 Then, teachers anticipate possible student misconceptions. For example, in Adelaide’s story, students may model the numbers ½ and 4 from the problem, but incorrectly assume the operation. It’s important to note with grouping division that kids may repeatedly add ½ until they obtain a sum of 4, but forget the original problem restrictions that give us a total of 8 days. 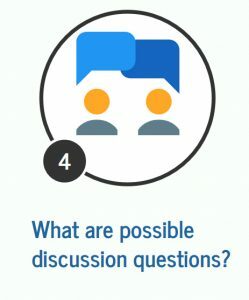 Finally, teachers pre-plan discussion questions for three possible scenarios that can arise while they are monitoring student models. If more than 50% of students are solving correctly, the teacher will facilitate 2-3 students sharing their models with the class using mathematical language. For Adelaide’s problem, the teacher plans to choose 2 exemplar models with clear labels. 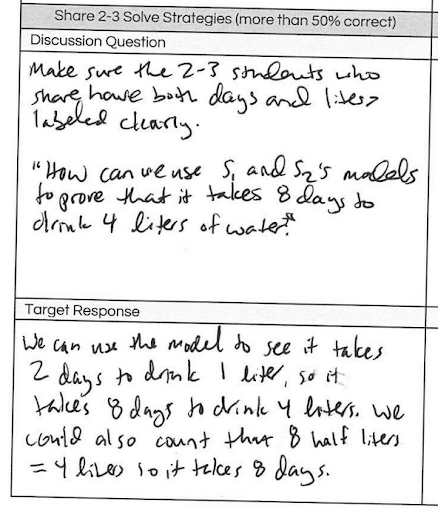 Target Response: We can use the models to see it takes 2 days to drink 1 liter, so it takes 8 days to drink 4 liters. We could also count on the number line that 8 half liters = 4 liters, so it takes 8 days. The student shows flexible thinking and uses labels to make the explanation clear. Click here for an example of a completed lesson plan from Math Stories and here for a blank template. 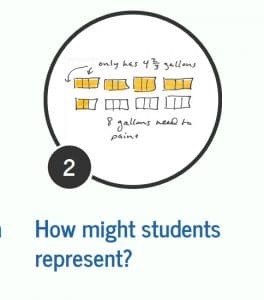 When teachers model math problems in multiples ways, identify key points and aligned discussion questions, and anticipate misconceptions as part of preparing for teaching fraction story problems, they have increased confidence in front of students and are better able to facilitate a student-led discussion. In the next few posts, we will explore the different parts of the Math Stories protocol as well as the power of student talk. 1 The Challenge of Fractions, NCTM. 2 Domino. “Teachers’ Influences on Students’ Attitudes Towards Mathematics,” 2009.